The best part about doing business is getting paid, and getting paid is getting a whole lot easier, hipper, and more mobile. To the modern, tech-savvy customer, the ability to accept mobile payments is one feature that separates the slick, new businesses from their archaic counterparts. Nobody wants to send you a check. Accepting mobile payments is no longer a novelty or gimmick — it’s a safe, secure, convenient collection method that benefits both the consumer and the business. You know how you feel when you go to a bar, order a drink, and pull out your credit card to start a tab only to have the bartender tell you they only accept cash? That’s how your customers feel when they find out you don’t accept mobile payments. Businesses that don’t accept mobile payments simply appear to be out of touch and behind the curve. By taking mobile payment, you’re making a statement to customers that you care about their convenience and that you’re a permanent fixture, serious and in it for the long haul. Unlike mailing a money order or check, mobile payments are safe, secure, and instant. One beneficial offshoot of accepting mobile payments is that it allows you to build your customer database. When a customer pays through a mobile system, they forfeit their email address because that’s where you’ll send their receipt. This gives you an easy way to — with their permission — compile a list of customers who have purchased from you in the past and may again in the future. This list is where you’ll send newsletters, updates, deals, and information. Mobile payment systems not only put money instantly into your accounts, but they help you keep track of those accounts. Mobile payment systems come with software that keeps track of how much you were paid, when, and by whom. This links directly to your accounting software, which makes invoicing and record-keeping infinitely easier. You’ll thank yourself when tax time comes. People are more environmentally conscious now than they’ve ever been, and businesses have to keep up with the trend. Not only is planetary awareness ethically sound, it’s also economically viable. People feel better spending their money with businesses that share their ecological philosophies. By accepting mobile payments, you’re dramatically reducing your paper trail and waste. You’re now taking steps to be green — and you’re entitled to boast your credentials. People are leery about buying overseas, and rightfully so. Many online scams come from foreign countries, and currency conversion can be confusing and difficult. Your mobile payment system gives international customers a sense of security and convenience that may be the deciding factor between buying from you and finding a comparable sale domestically. Different businesses have different options to meet their unique needs. Many experimental systems are in the works, and some are popular in Europe and Asia that aren’t here, but generally, mobile payment systems can be broken down into three main categories: card readers, virtual terminals, and third-party sites. Credit card readers plug into your smartphone’s 1/8-inch jack and connect with an app that comes with the reader. To make a purchase, customers simply swipe their card through the reader, sign with their finger or an appendage, and that’s it. A printable receipt will be emailed. This method is great for contractors who work in the field like electricians or sole proprietors who have clients come to their office like lawyers. 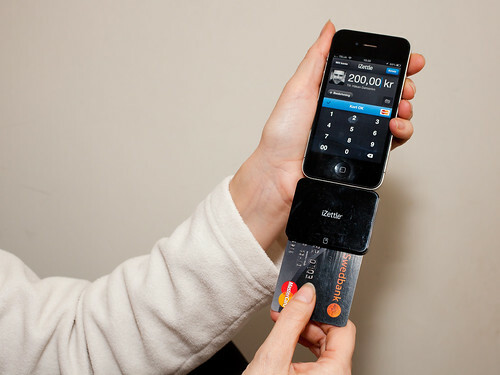 Some of the top companies are Square, GoPayment by Intuit, and PayAnywhere. Virtual terminals are popular with businesses that have a strong online presence. They allow the proprietor to accept secure, online payments via credit card, debit card, check, or bank account. They can usually set up recurring payments and send electronic invoices. Your customers will see an online checkout or shopping cart feature, while you’ll connect with your bookkeeping software on the back end. Among the industry leaders are PaySimple and Merchant One. Third-party sites provide a secure, recognized way to transfer money. The independent go-between vets both parties, insures the transaction, and then allows you to distribute the payment to outside accounts by linking to your bank. The most popular by far is the ubiquitous PayPal, whose name recognition makes customers feel safe. There is literally no excuse for businesses — especially those with an online presence — not to accept mobile payments. It’s affordable, it’s reliable, it’s becoming ubiquitous, and very soon, it will be a must-have. It makes your business look more professional, it gives your customers a sense of security, and it allows you to take the first step toward going green while building a practical customer database. You’re in business to make money; don’t make it hard for your customers to pay. Andrew Lisa is a freelance writer living in Los Angeles. He writes about small business issues like mobile payments.